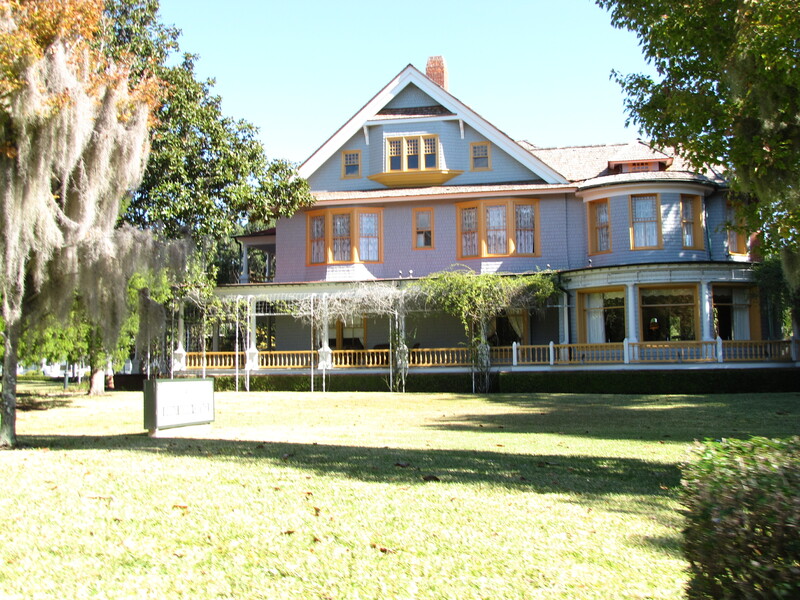 In the late 1800’s Jekyll Island, another of the Golden Isles of Georgia, was purchased by a group of men who developed it into the nation’s most exclusive club. It was the winter retreat for America’s wealthiest families. This was at a time when the idea of a modern seaside resort was still a novelty. They wanted a place where they would be with their own kind of people. 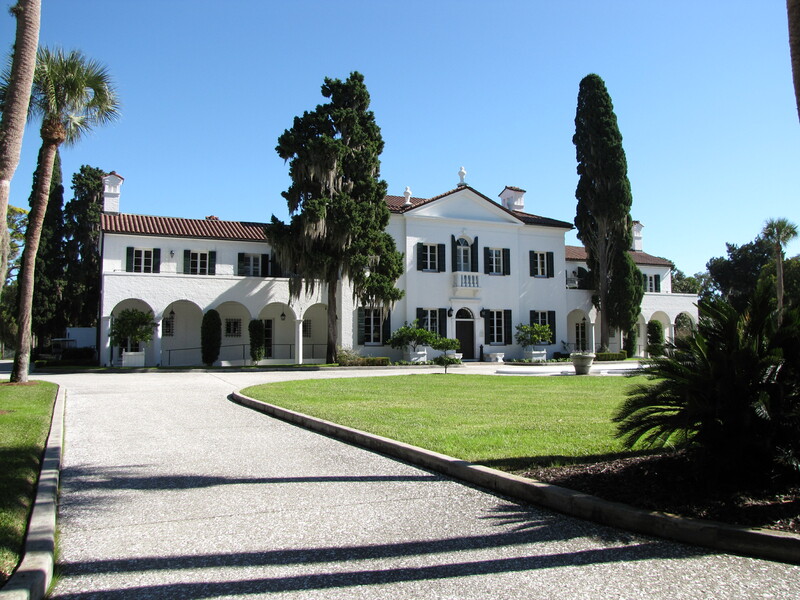 They built the huge Jekyll Island Club House where members could come and stay. All members were encouraged to lived at the Club House. However, some members preferred their own place and a 6 unit apartment building called the Sans Souci was built. This is where J.P. Morgan had a place. Eventually some members built their personal “cottages“. However dining and social activities were all held at the club. Although the cottages they built are not pretentious by any means they did have all the necessary comforts and services they were accustomed to. 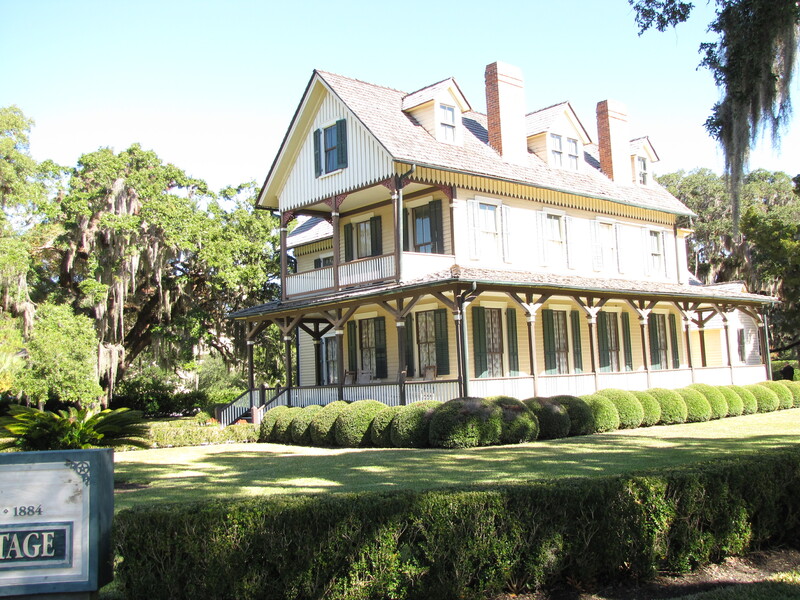 The cottages were built to be used as a hunting preserve and family getaway. 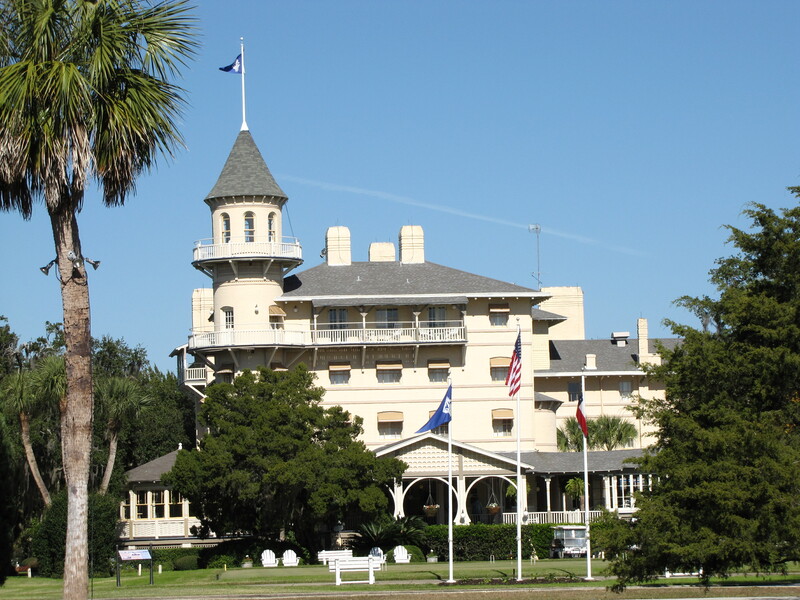 By 1900 the members of the Jekyll Island Club represented one-sixth of the world’s wealth. What went on here during the years of occupancy changed the course of America’s economic and social history. The Federal Reserve Act was created and the first transcontinental telephone call was placed from this small island. The Club closed in 1942 when enemy warships were detected to be in the waters surrounding Jekyll Island. Many of the members simply abandoned their homes, furniture and all. 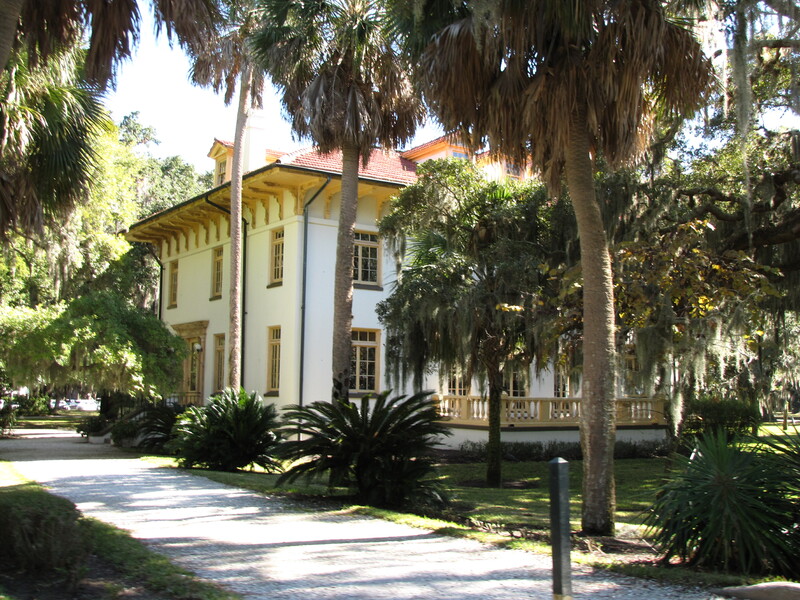 In 1947 the grounds and buildings were purchased by the state of Georgia and is now a vacation paradise with the restored Millionaires Village being a National Historic landmark. The clubhouse of the Vanderbilt’s, Astors, Rockefellers, etc. 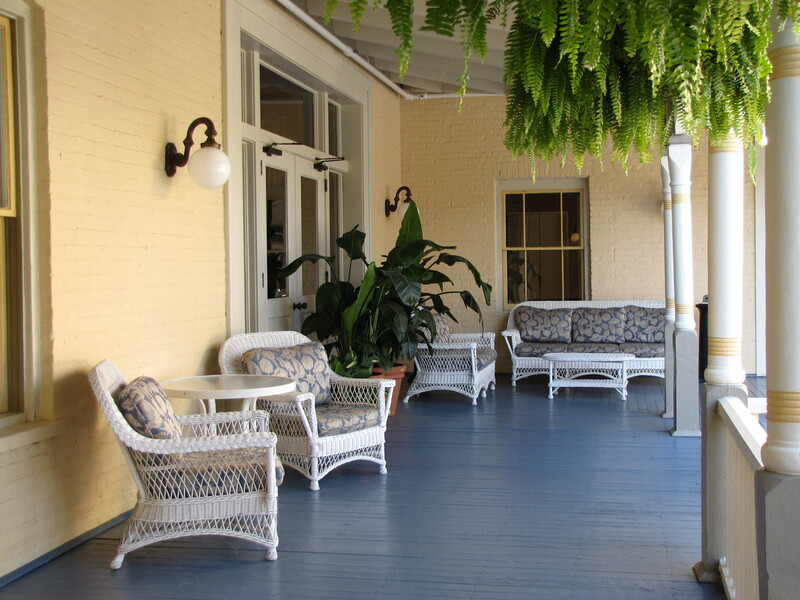 is now a hotel restored back to its old world charm. And the other was “Indian Mound” owned by William Rockefeller. It started as a small house but with time additional rooms were added. One of the beautiful features of this home was the extremely large windows on the back of the house. They overlooked the water and made for a most beautiful setting. The tour drove past all the other cottages, several of which are undergoing restoration. One, originally owned by plumbing-fixture magnate Robert Crane resembled a Italian villa. The whole area is very beautiful and secluded. We had lunch out on the porch of the Club House and could see people playing croquet, in their whites, out on the front lawn. We could pretend we were part of the Millionaires Village for a little while.